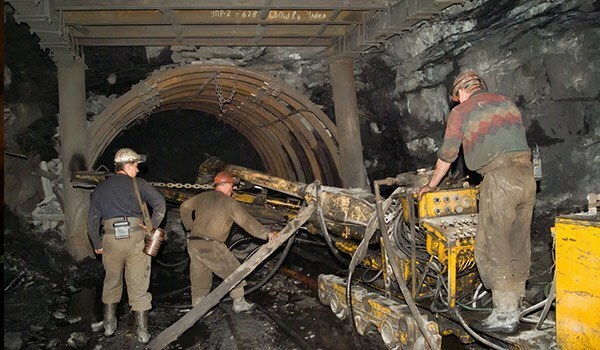 Mines are some of the harshest and most stressful working environments because mining machines are regularly prone to excavation impacts, abrasion and corrosion. As a result, mining equipment often reach their end-of-life sooner than projected, thereby compounding replacement and maintenance costs for the mining corporations. A&A Coatings is committed to helping all types of mining equipment and machinery combat wear, corrosion and abrasion – the three biggest problems behind reduced efficiency and increased operational costs in mining environments. At A&A Coatings, we offer advanced thermal spraying and surface engineering services to ensure long service lifespan and optimal performance of mining machinery. While designing thermal spraying solutions for the mining sector, we always take into account the operating environment of the different components. Mining processing plants often use mills, reactors, large crushers, and roasters that are subjected to wear and corrosion. In addition, the mining industry also features the use of heavy duty equipment such as drills and hoppers and heavy vehicles such as loaders and bulldozers that are all subjected to fast wear degradation. With the superior coatings from A&A Coatings, you can ensure that all the mining related equipment and machinery mentioned gain better durability in order to serve their causes for longer. With our knowledge of restoration by dimension techniques, we can even refurbish mining components to their OEM standards. Our materials engineers and spraying experts have many years of experience in thermal spraying for mining equipment. We have partnered with many mining related businesses over the last 7 decades and we are confident that our industry experience in the mining sector is second to none. If you want to find out more on how our coatings can protect your mining equipment, do give us a call today.